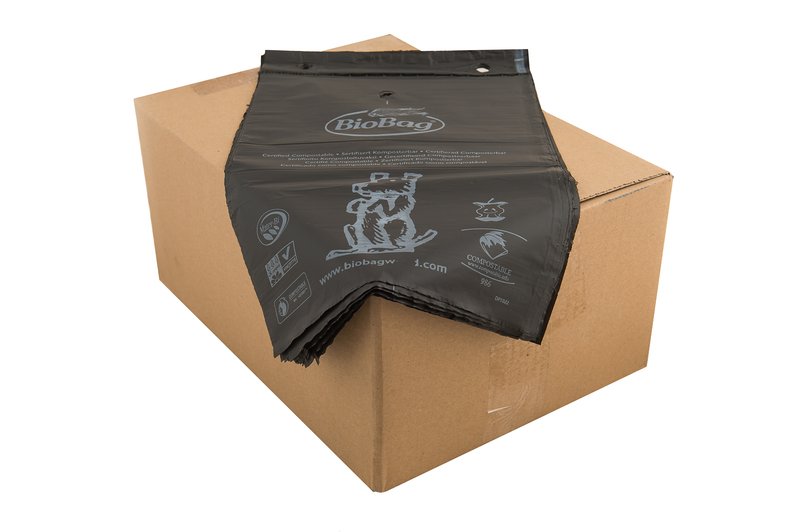 BioBag compostable dog waste bags do not contain any polyethylene-based ingredients. They are as natural as dog waste and biodegrade within 10-45 days in a well functioning composting environment. By comparison, it takes more than 100 years for normal plastic bags to biodegrade. When you are finished with our compostable dog waste bags simply dispose of in any green waste environment and the micro-organisms will do the rest. The BioBag compostable dog waste bags along with the dog waste will be returned to the earth as organic matter. Compostable bags for picking up after your pet. BioBag dog waste bags do not contain any polyethylene-based ingredients. The bags biodegrade within 10-45 days in a well-functioning composting environment. 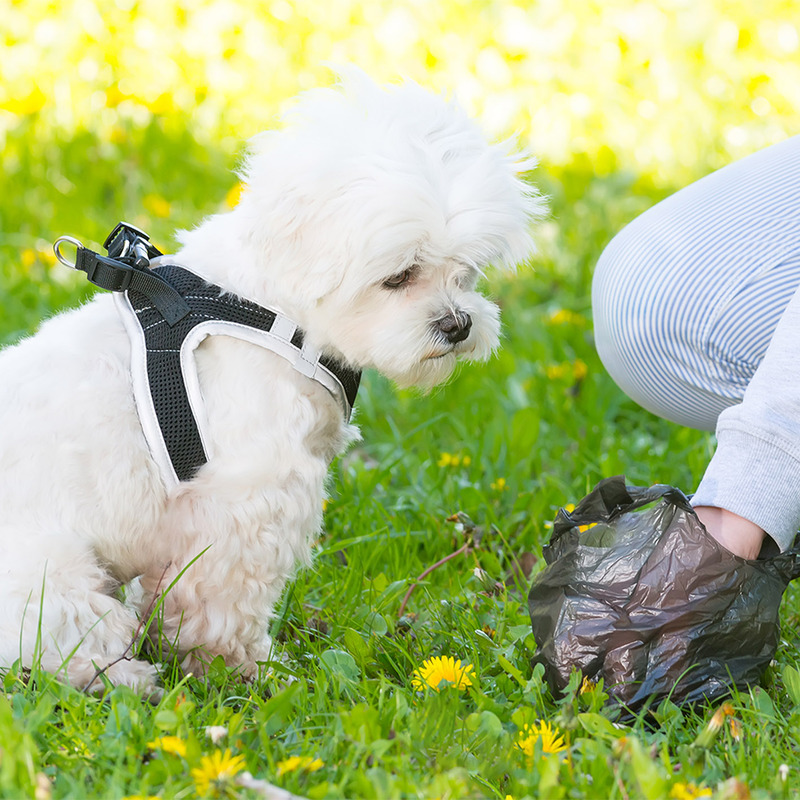 It strikes us as strange that conscientious dog owners scoop up their dogs’ poop (which is fully biodegradable) and then put it into plastic bags that will remain with us for 100 years! The logical solution is biodegradable BioBag dog waste bags, the answer for responsible, earth-minded pet owners and communities. BioBag® compostable dog waste bags are available in bulk quantities for dog parks, walks, community living and public spaces. Bags come in standard size and large size as well as on a core for popular park dog bag dispensers. 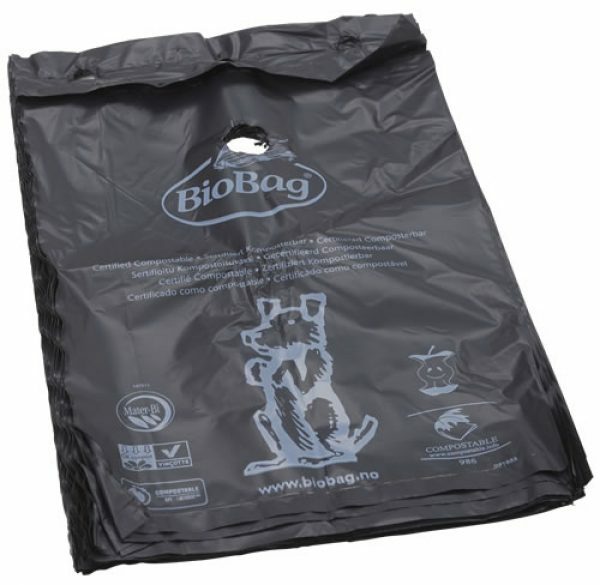 BioBag compostable dog waste bags are a great alternative to regular polyethylene plastic bags. They are made from a resin derived from plants, vegetable oils and compostable polymers just like all our traditional BioBag compostable products for food and green waste.